We strongly advocate looking into LEASING your new video edit system rather than using up your capital reserves. Leasing offers a few advantages over "cash". To begin with, lease payments are generally tax deductible ; whereas purchases are considered assets that need to be amortized. Check with your accountant to be certain how it would apply in your situation. All business, especially small businesses, need cash reserves. Why use up a substantial portion of your working capital if you don't need to? Put those funds that you would have spent (on your editing system) into other areas that are not asset secured, such as marketing & advertising. Keep some fuel in the checking account for other operating expenses, such as small equipment purchases. Lastly, and we always hate to sound pessimistic, but you may need those extra funds to get you through a dry spell (or that of your "client"). Think in terms of how much income your editing system will help you generate. Is having a state of the art, high resolution capable, fully professional AVID Liquid or AVID Media Composer system worth a monthly payment of just a few hundred dollars? Heck, even if the damned thing only played video games, just having a professional dual screen display and the AVID name onscreen would be worth the couple of hundred per month when you see the awe on your potential client's faces. THIS is what separates you from your "fruit equipped" competition! They may be using what the film schools have, but you are using what Hollywood and the big broadcasters use and respect! 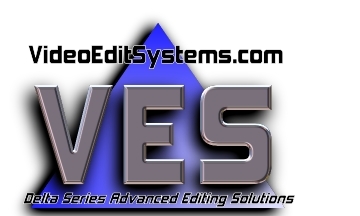 VideoEditSystems.com works with a few highly reputable leasing firms who specialize in our industry (film & video production). We will help you find the most affordable leasing solution. We recommend configuring your lease so it boasts a built-in line of standing credit. It doesn't cost you anything until you access it. Today, you may only need one workstation. But if things get busy, you might want to add that RAID 5 Array. Or other accessories, like maybe a sound recording package. Or multi-user networking. With the right kind of lease, you won't have to go through the application process again, because you're already pre-approved. Just tell us how you want to celebrate your company's growth. Sign off on the dotted line, and your new, leased equipment will soon be at work earning you more profits!